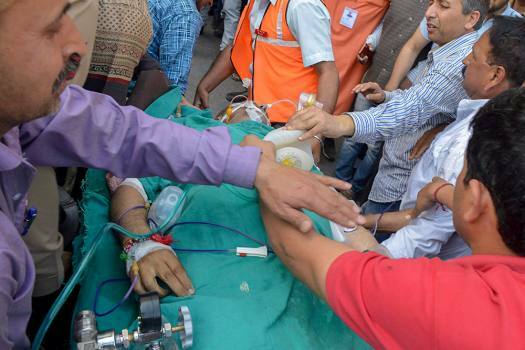 Rashtriya Swayamsevak Sangh member Chandrakant Sharma being shifted to the Govt Medical College hospital for treatment, in Jammu. 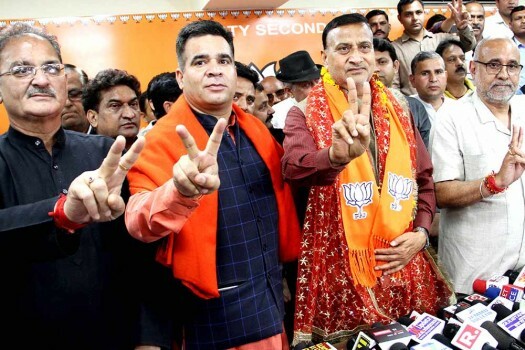 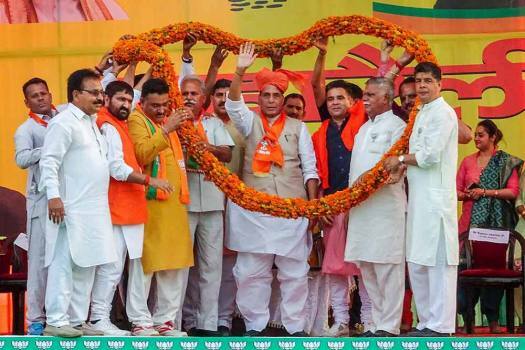 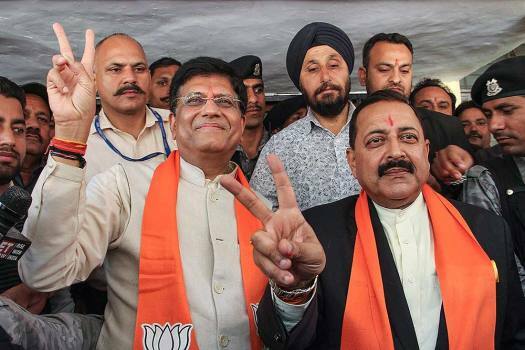 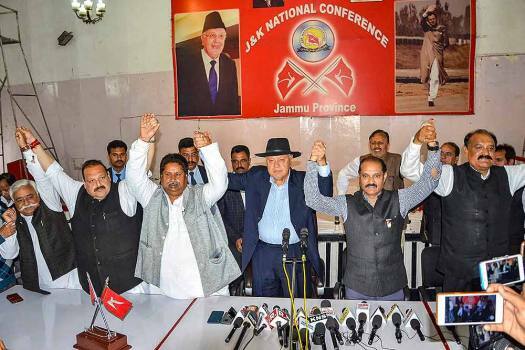 BJP state President Ravinder Raina, National Vice-President Avinash Rai Khanna show victory sign after senior Congress leader Shyam Lal Sharma joined BJP, in Jammu. 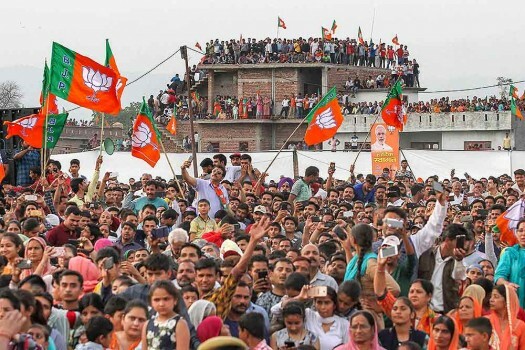 BJP supporters wave the party flag as they extend their support for Prime Minister Narendra Modi during a public rally ahead of Lok Sabha elections, at Dumi village near Jammu. 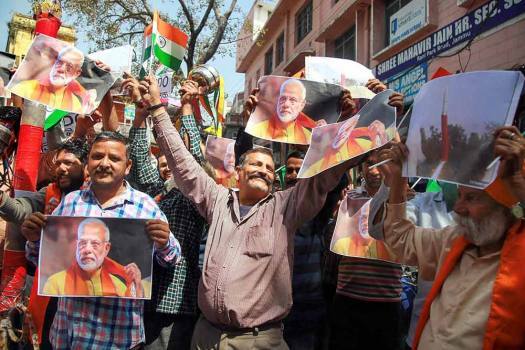 Shiv Sena activists celebrate the success of Defence Research and Development Organisation (DRDO) 'Mission Shakti', in Jammu. 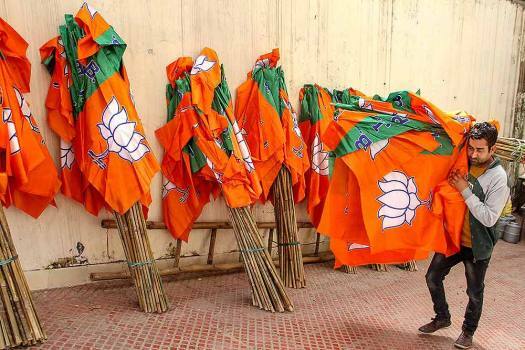 A worker carries Bharatiya Janata Party flags for distribution ahead of an election campaign, in Jammu. 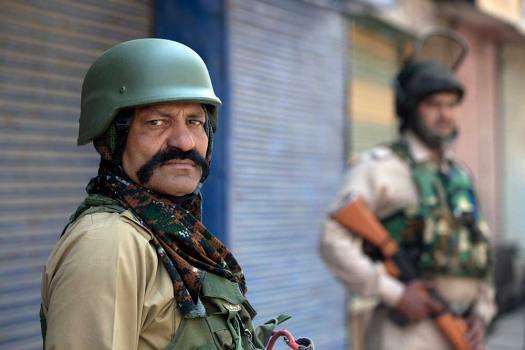 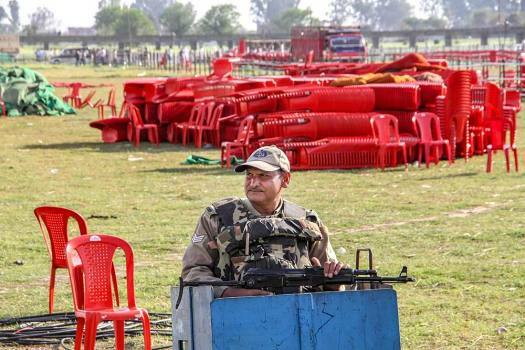 Security personnel during high alert ahead of Prime Minister Narendra Modi’s election rally, at Domnie village in Akhnoor sector 25 km’s from Jammu. 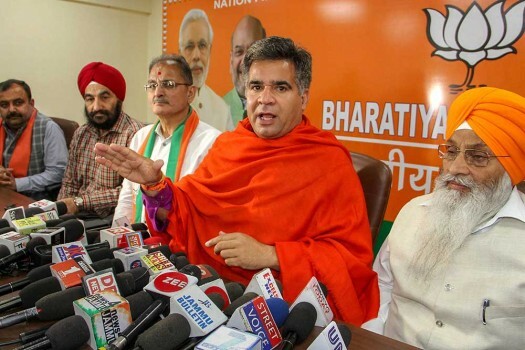 Bharatiya Janata Party (BJP) State President Ravinder Raina and former deputy CM Kavinder Gupta address a press conference, in Jammu. 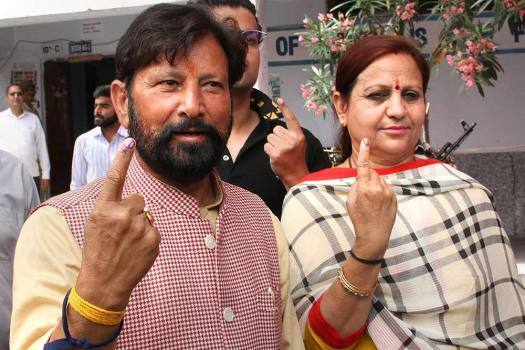 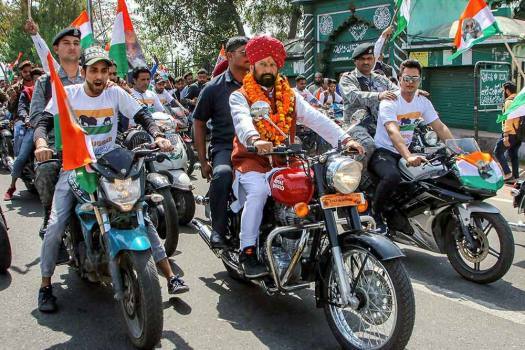 Dogra Swabhimaan Sangathan (DSS) founder Choudhary Lal Singh arrives to file his nomination for Jammu-Poonch constituency ahead of Lok Sabha elections, in Jammu. 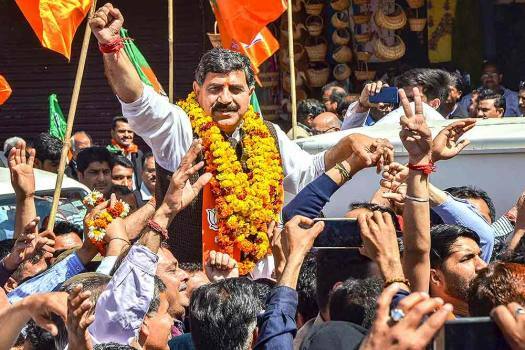 BJP's Jugal Kishore Sharma gestures as he arrives to file his nomination for Jammu-Poonch constituency ahead of Lok Sabha elections, in Jammu. 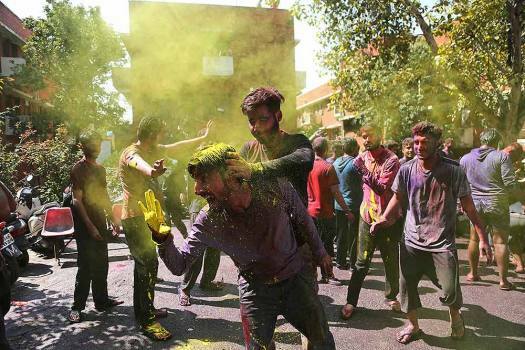 People smear colored powder on each other as they celebrate Holi in Jammu. 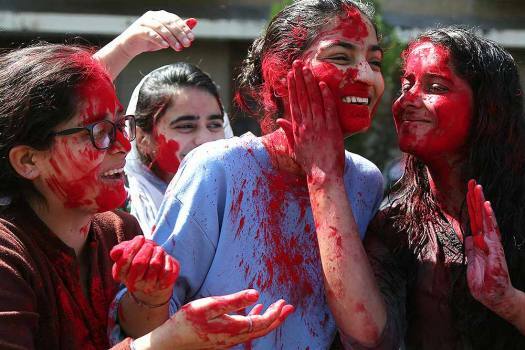 Girls smear colored powder on each other as they celebrate Holi in Jammu. 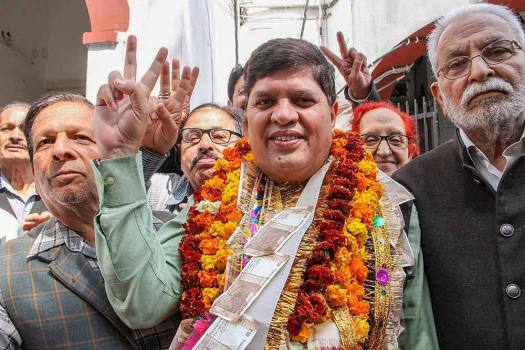 SOS International chairman Rajiv Chuni, displays a victory sign after filing his nomination papers for Poonch parliamentary constituency ahead of the Lok Sabha polls, in Jammu. 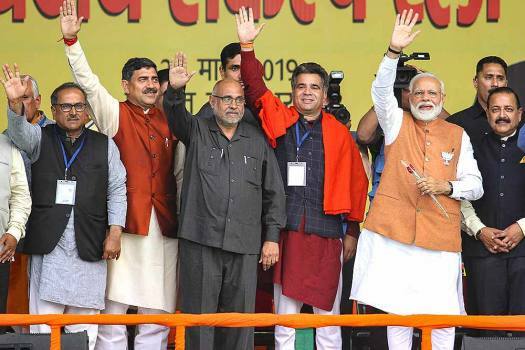 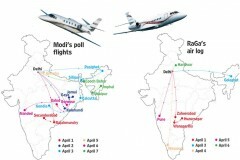 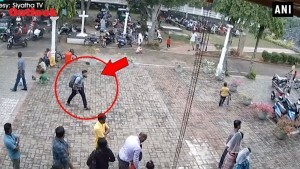 It was the only trade in India carried out on barter system, which many believe had an inbuilt mechanism of loose threads which could be tweaked and used by Pakistan for its 'nefarious' designs. 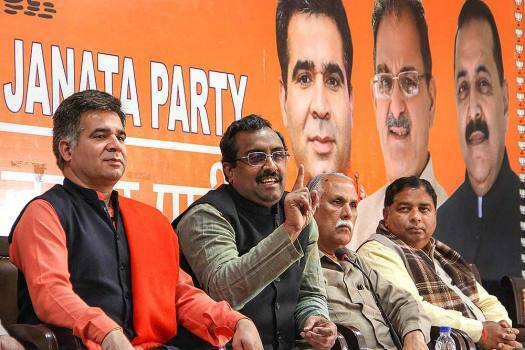 The BJP leader was referring to the iconic 'Mere paas maa hai' line in film 'Deewaar. 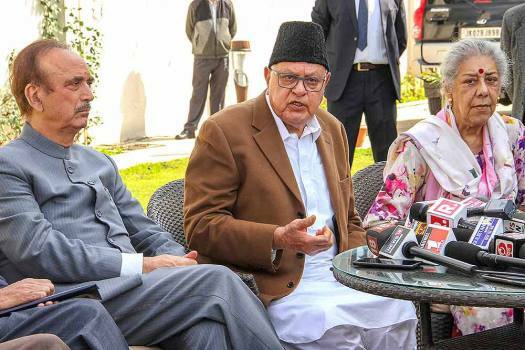 Former Jammu and Kashmir chief minister Mehbooba Mufti Sunday said the NIA summons to moderate Hurriyat Conference chairman Mirwaiz Umar Farooq were emblematic of the Centre's 'repeated assaults on our religious identity'.